Three basic premises were emphasized during AMTA 2018 National Convention in Washington, DC. AMTA began with 29 members in 1943 and is reported to have expanded to some 85,000 members at present after weathering some periods of reduced member satisfaction 4 years ago. 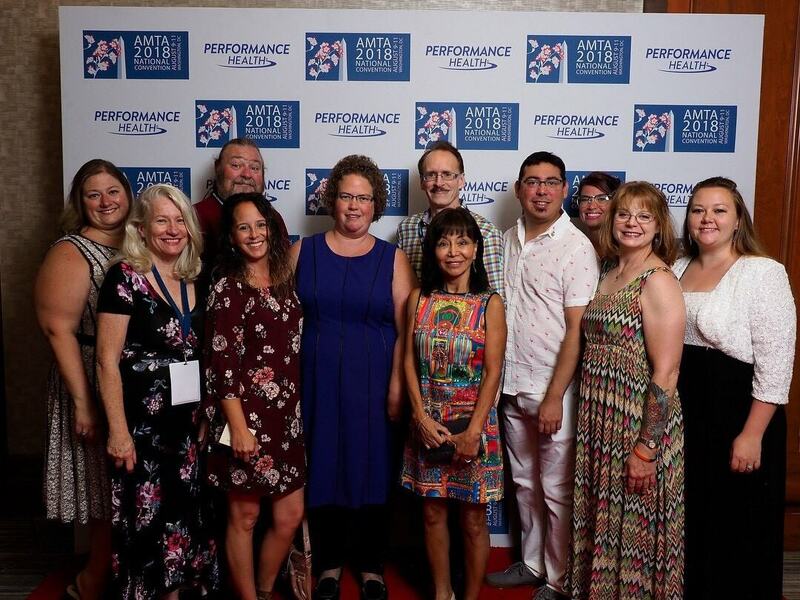 We are AMTA - Our Mission: To serve AMTA members while advancing the art, science and practice of massage therapy. CAI intends to aid in providing a better understanding of volunteer roles, create a positive culture and promote an enjoyable volunteer experience. Wisconsin Chapter will be accomplishing this in the near future. The Embracing Change breakout presented by John Hickman, TN President and Ann Blair Kennedy (ABK), SC Past President highlighted the fact that change is inevitable, but it can be positive as well as negative. They reported a 12% positive change (57% in 2014 increased to 69% in 2018) in relation to AMTA member experience satisfaction. The main message delivered encouraged people to become anti-fragile so that sustaining change can be supported in whatever life presents in all experiences. Thank you for the opportunity to serve and interact with fellow healthcare providers, massage therapists, Board members and staff as we continue to elevate our profession. What a great experience! As a first time attendee to the AMTA National Convention I didn't know what to expect. When I arrived at the opening session I was greeted with smiles and people ready and willing to help. It was a family atmosphere. One of the coolest things was seeing so many Massage Therapists gathered together to gain knowledge, to better help their clients. I appreciated learning more about what the Massage Therapy Foundation does for our industry and how important they are! The Massage Therapy Foundation provides funds for scientific research, education, and community service. Because of Foundation funds, Community Service Grants are offered annually to bring massage therapy to under-served populations all over the world. Veterans with opioid addiction in Fayetteville, N.C., can receive the compassion and pain management benefits of massage, victims of domestic violence in Chicago, Ill., are offered a safe place where massage helps them heal, and children with cancer in Nevada are comforted and sleeping better during their treatments— the list goes on. Grants supporting family members that can use massage as Integrated Health Care for themselves deeply struck my heart. I am so proud to be a supporter of the Massage Therapy Foundation as well as a member of the American Massage Therapy Association. AMTA was able to donate over $500,000 to the Massage Therapy Foundation this year! I love being a member of AMTA. 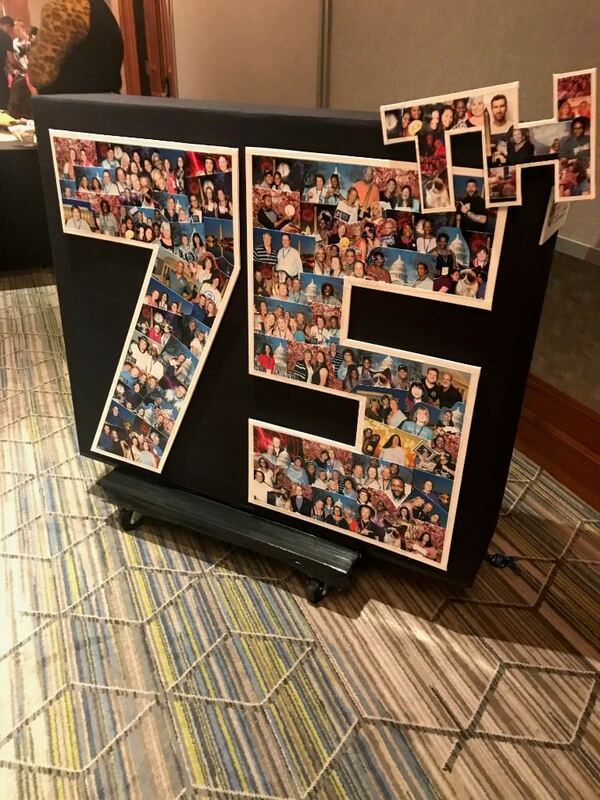 By volunteering my time to our chapter I was able to go to Washington, DC for the first time in my life to celebrate AMTA’s 75th anniversary. I am thankful to have this opportunity to serve others. AMTA is providing me the tools I need to be successful in making a difference in our industry. The next time you think “I'm only one person, how can I make a difference?” please remember, even the smallest pebble makes a ripple in the lake. From the moment I stepped out of the airport until the moment I returned, I was learning, experiencing, and growing. At first, my surprises surrounded the landscape and the foliage. Fairly quickly, I was grateful we were not driving. I am certain they buy new brake pads each month! I attended Chapter Volunteer Orientation Program (CVOP), as well as Chapter Leadership. I learned great new ideas to use in my volunteer role with AMTA-WI: It’s better to tell people they are important to you more often than a simple “I love you”. And, most people will only make changes if fear pushes them. The opening ceremony was inspiring. I was reminded to enjoy simple tasks by saying “I get to wash dishes” instead of “I have to wash dishes”. And, you have a choice of what you focus on; focus on the good stuff. If it’s tough to think of things to be grateful for, use the 3 W’s, What Went Well. What’s one thing you felt went well that day/month/year. There is much more that I learned, and I would love to with you. Look for me at the next state or national convention!! This National Convention reinforced the importance of educating the public, professional education, and advocacy to elevate massage as a profession. The conference encouraged growth and development through the resounding themes of embracing change and raising standards. Both are extremely difficult to most of us; however, when approached with enthusiasm and perspective, growth will abound us! I had the pleasure of taking two of James Waslaski’s courses. James made the perfect analogy regarding his continuing education courses: “It’s like taking a drink from a fire hose.” I learned when evaluating client approach to “match the technique with the pathology through the assessment.” I have personally kept these concepts compartmentalized which creates less carry over from treatment to treatment. Sometimes slowing down and truly re-addressing approaches to client conditions can provide helpful and positive changes. Thank you for the opportunity to attend this year’s National Convention. I look forward to being of services to you over the next couple of years. I met many wonderful massage therapists, even those that had never heard of cheese curds! I took a class in Balance and Postural Stability Training offered by Jeffrey Forman PhD, BCTMB, CMT. Dr. Forman taught us about the three areas of the soles of the feet, sacrum, and cervical regions. These three areas are the basis to maintain the stimulation, increase flexibility and strength to improve posture and balance. A sedentary lifestyle is the enemy of older adults. If you don’t move it, you will lose it. Lack of exercise leads to diminished strength, balance and flexibility. Staying active, maintaining a healthy diet, and getting regular massages will assist you to better health. I also attended Dimensional Massage Therapy for Tension Headaches by Nancy W. Dail, BA, LMT, NCTMB. Nancy taught us different techniques to assist those who have headaches. We learned techniques to use on the face and scalp but primarily the neck and upper back muscles such as the SCM, upper trapezius, splenius capitis and splenius cervicis, rhomboids and the anterior serratus. We discussed other types of headaches that may occur. The SCM and the upper trap share the same nerve when this is pinched it may cause an earache. One of the preventable actions one can take is to get a massage if they feel a headache coming on to loosen up their neck muscles. Thank you AMTA Wisconsin chapter for allowing me to attend the National Convention in Washington DC 2018! Receiving and accepting change was the focus this year at National Convention from the House of Delegates to the Assembly of Delegates. The new Assembly was amazing from the discussions that took place at the tables, to how we voted on passing potential position statements. The greatest change for the assembly is that once we vote to pass a potential position statement it will go to a work group. In the work group there are researchers and lawyers to make sure that there is adequate backup information so the positions can be published. It was a fantastic convention, thank you for alowing me to serve you all.